After 33 years, Chilmark Chocolates, the beloved Island chocolatier, is closing its doors at the end of December. The letter also says Grady and Burger have opted to not sell their business, saying they “prefer to let it stand for what we all worked together to create,” according to the letter. The Times reached out to the owners, but they declined to comment through Burger. On Thursday, the store was gearing up for Valentine’s Day when The Times called. The store is also known for its hiring of employees who have disabilities. They have a right not to sell it but if it isnt sold some disabled workers will not have jobs. May we assume it paid for itself and even made a profit if it stayed open for 33 years. Therefore it has value and if in the hands of others could continue to make a profit and hire people. andrew–take a good look at this liberal business model. It is not always about profit. Instead of guilting folks that have done so well for for disabled workers for decades, why not encourage other businesses or new businesses to take up the mantle now the CC is closing. OK edwardMVY, lets have another person start the same business if this one isnt for sale. But when they do start and DONT hire disabled who have lost their jobs you and dondondon will be the first to have fits. It is a shame that these owners who have had enough dont let someone else purchase it and with th emoney they could do something else good for the island if they wished. This is destroying economic value and all you Luddites who think this is fine forget that entrepreneurship sustains MV. You cannot speak to what sustains the island/others on it. You only know what sustains your view of the world. Maybe if you read Alison’s and Mary Beth’s letter posted in their shop you would understand that different people strive for different kinds of sustenance in life. They quoted Mother Teresa: “We can do no great things, only small things with great love”. The end of the world as we know it. Devastating news. Please don’t go! Heres a history of the place:https://www.nytimes.com/1987/08/05/garden/where-candy-making-is-a-labor-of-love.html It will be sad to see them close down. oaks bluff– I have already , and will continue petition the Flying Spaghetti Monster to give Mary Beth and Allison a special place at the divine pasta bar after they slowly melt from their earthly bonds.. Peanut meatballs with chocolate sauce over coconut pasta . All love and best wishes to Alison and Mary Beth. We were so lucky to have you for so long. Say it ain’t so………….! What a wonderful place with the world’s best chocolate and great, dedicated employees. I must agree that the owners have a right not to sell, but what about all the employees who are losing work. Is there some way that this can be worked out to the satisfaction of all? This just doesn’t make any sense to me. Why not request some proposals from prospective owners? If I was to submit a proposal it would include keeping any current staff members who want to stay, possibly expanding the business, a proposed island location, etc. 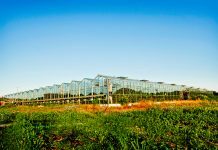 What if the business was expanded to year round online as well as on island- with a portion of the profits donated to various island initiatives including special needs, eldercare, affordable housing,etc. It’s a golden opportunity to “Pay it Forward”! They have been paying it forward all these years. They don’t wish for the business to be anything more or bigger than what they made it to be. That’s really okay.you are welcome to start a new business and invite their former employees to work for you. Emulate their business model. After 33 years and all they’ve done they don’t owe anyone anything. Wish them the best and emulate them. Congratulations Alison and Mary Beth of Chilmark Chocolates for providing us and you’re wonderful employees with the true meaning of compassion and support, which is what our Island is about. I feel like after 33 years, you deserve, like all of us, the time to relax and take pride in what you have given of yourselves to so many. Letting all of us know almost one year in advance is great because it gives all Island businesses a chance to regroup and hopefully hire those employees knowing they would be forever grateful, do a great job and at the same time give them a sense of pride. Our Island is like family and I feel that’s what makes us unique. PS… by chance, will you have any leftovers? Just asking!! Very foolish to not allow a good person to take it over. Its a service to the community and to the workers that worked there. In my family Mary Beth and Alison are know as “Angels on Earth.” Not only did they employ my sister, Virginia, at the store, they were her friends and guardian angels as they are to so many of the other workers at Chilmark Chocolates. They are kind, gentle, smart and extremely humble and would hate that I am singing their praises on social media. They have worked tirelessly for years, helping others and making the Vineyard a better place. I hope they have a great retirement! I have so much more that I could say about them but my words just don’t do them justice. I love them dearly! I truly hope that the owners reconsider their plans to close this island landmark. They have the ability to recharge their legacy with the ones who will be affected the most by the closing, their extremely skilled and artisan chocolatiers. As a mother of a son with development delays, I am hopeful that their employees will continue to have the opportunity to develop their craft. It has become a family tradition to take the windy drive down State Road, with his wash ashore aunt, to this magical place and pick out our luscious prizes. 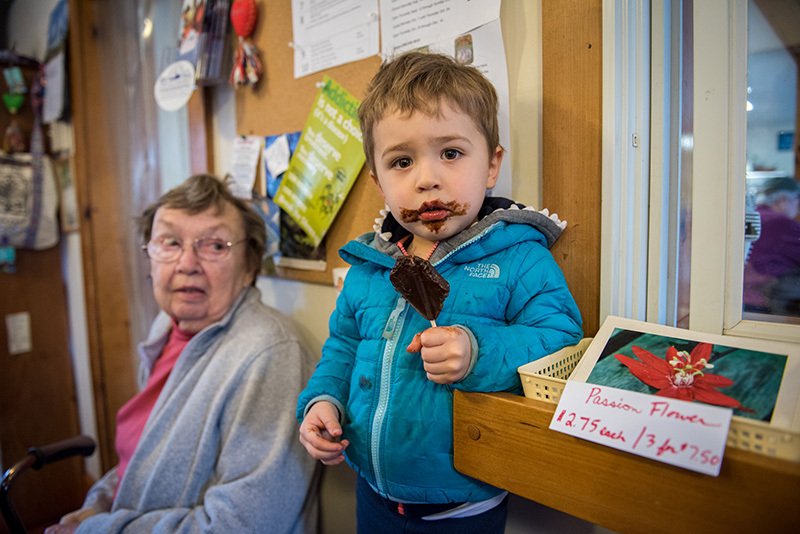 Please let this tradition continue for devoted fans and future Chilmark Chocolate lovers! I’ll be in the minority here but knowing most of their disabled employees I’ve always felt they kind of took advantage of them. 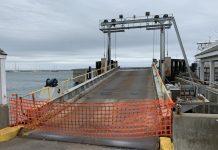 Most of them would take a 50 minute bus ride up and back from Vineyard Haven for minimal pay. Also considering what a popular business they had I thought when they closed for 3 weeks each August they were kind of giving a big middle finger to the people who keep most of us employed. BS, yes, you are in a minority of one. I understand free speech, but I don’t know why the Times allowed such a bitter comment that could be considered the definition of slander of two women who have dedicated their adult lives to helping people and making the world a better place. No problem. It’s my opinion and it’s not unjustified. I’m not asking anyone else to agree, just stating my thoughts. We went off diets many times because of Chilmark Chocolates on our visits to MV years ago. It was a fun and quirky place, the candy was THE BEST, and we enjoyed interacting with the staff. Our favorite, and an MV treasure was Virginia, with her quick smile and energy. Maybe I should place a mail order one last time.